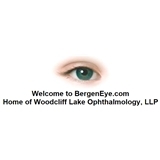 Woodcliff Lake Ophthalmology (Woodcliff Lake) - Book Appointment Online! She was very warm and made you feel comfortable from the start. She was very thorough and very efficient with time, which I appreciated as I had a lot to do that day. From other reviews many commented on wait time. Taking an early appointment when possible would be my recommendation. I had an 8:50 appointment. Also, as you leave, there is an optical boutique so you can literally do one stop shopping. Would highly recommend.